Nice. How do you like the APM 80/600? How is the color correction? 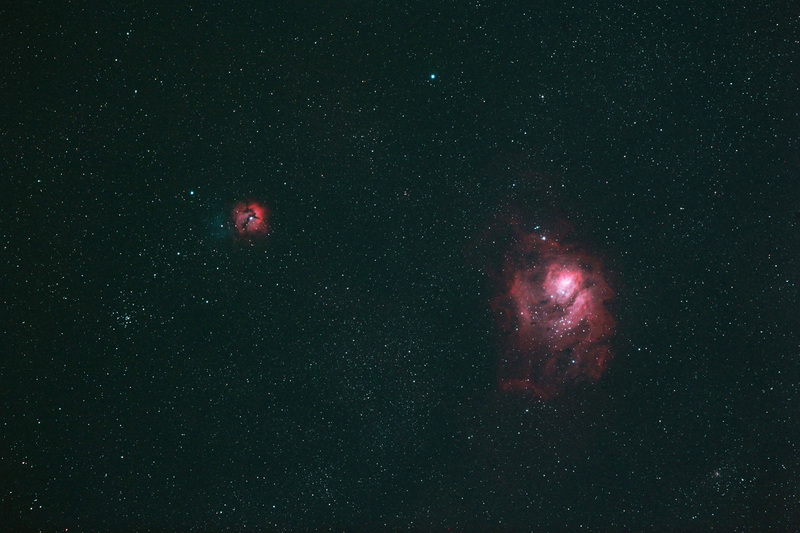 The color correction of APM 80/600 is the best corrected telescope I have ever seen. Most APO or ED telescopes show no color fringe at the focus. But they show purple fringe in front of the focus & green fringe behind the focus. However APM 80/600 shows no hint of color fringe in both sides of the focus & at the focus. Hi Willis. Beautiful shot - hard to believe it is a first attempt! Do you use a modified 5DII? Have you run any more tests of the Borg 7887 focal reducer? Cheers, Peter. Sorry！ overlook ur post！ Yes！ It is a modified 5DII. I tested the 7887 on APM 80/600. It works well even in full-film DSLR. I found that the APM 80/600 works well with SW 0.85x, Borg 7887 & TS 2. I have LOMO 80/480 and finding reducer/flattener. How about APM 80/480 with Borg 7887 ?